In 2014, Wandering Family Man and I decided to save up for five years to take a year off and travel with our kids. Once we set up our vacation savings account, frugalized all we could in order to free up the money to save for travel, and started a sidegig to earn more money for our break from work, we turned our mind to career break ideas and what we might do with our year off. By “turned our minds” I mean “browsed family gap year stories online after the kids went to bed when I was supposed to be doing the dishes”. My online research led me to numerous interesting family sabbatical blogs and news articles describing how families spen 3, 6, or 9 months or longer taking a break from work and from their normal day-to-day. 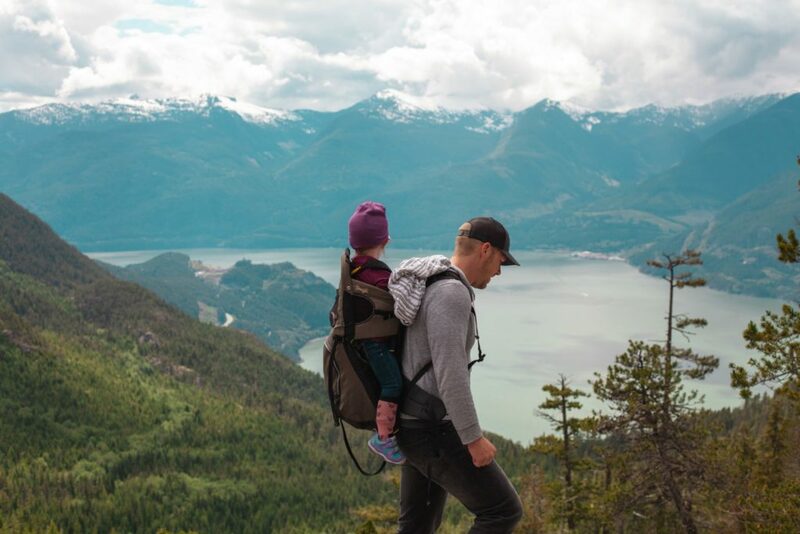 Whether they call it a family gap year, family sabbatical, career break or mini-retirement, here are the seven broad categories of things families do during a voluntary break from work and school. One option is to go to another part of the world to live in one spot for anywhere from a month to a year. Some families do a round-the-world trip this way, staying a month or few in a number of locations. Colloquially, this is known as “slow travel”. 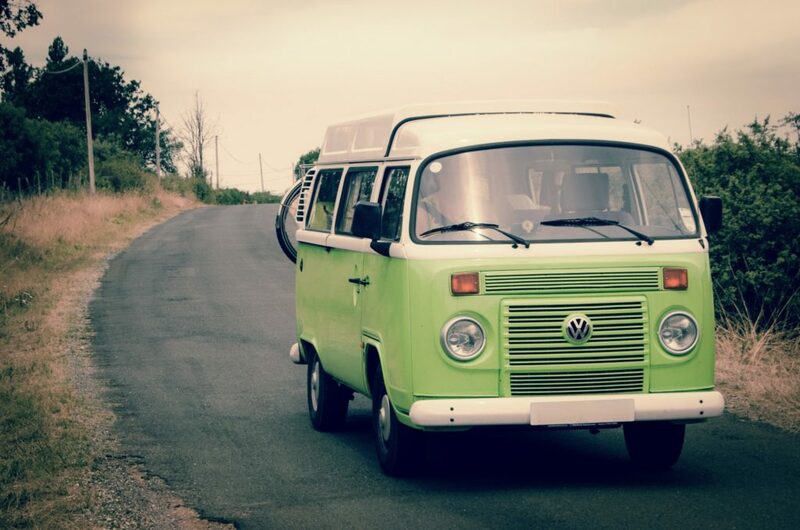 Slow travel is particularly well-suited to families who will be working during their time away (either because they’ve negotiated some time to work their regular job remotely or because they run a location-independent business) and who need to be reliably connected to the internet. ‘Faster’ traveling necessarily means that at least sometimes, internet will be spotty or absent. Plus, it’s hard to get work done when you’re moving around by train, bus, tuk tuk, etc. Slow travel is also a good option for families with small children. Some littles just don’t do well on days of travel – waiting, moving on and off of vehicles, long rides – and moving too fast for them can cause their emotions and behaviour to tank. Plus, as a parent, it’s hard to feel confident that you’re keeping your toddler safe at the same time as you’re trying to negotiate busy, unfamiliar transit terminals in a foreign language. Slow travel also suits people, young or not so young, who don’t sleep well if they’re not in the same bed night after night, or who can’t or don’t like to travel light. Want to bring a car seat and a pack n’ play? Slow travel might be for you. People who slow travel appreciate the deeper cultural experience that comes from staying put and becoming familiar to the local residents and businesses. Over the course of the month or more they spend in one place, they see much of the surrounding country on short trips, fanning out from their residential location. There are at least three ways to secure places to live for slow travel: renting an apartment or house, trading your house for someone else’s, and house sitting. Renting an apartment is a popular slow travel option, but depending on where you want to go it can be hard find an apartment for a stay of less than six months. Often the best way to find an apartment and be sure it’s what you want is to go to your destination, spend a few nights in a hotel, and use a local newspaper and/or travel agent to find apartment listings. You’ll be able to tour the apartments before committing to one, and are more likely to get the best deal on rent. However, if you’re traveling with kids, running around for a few days finding a place to live may be less than ideal. Fortunately, more and more online opportunities to arrange advance rental accommodation are cropping up for locations all over the world. To find apartments for 60 days or less, we typically use Homeaway.com or VRBO. I find the list prices better than AirBnB and I’ve had very good luck contacting hosts in advance and asking if they would decrease the listed price if we rent for 30 to 60 days. I also like the fact that the apartments that show up in search results are based on my preferred dates – no emailing owner after owner only to be told that their apartment isn’t available for the dates I need. Look for location-specific websites that feature short-term rentals for your desired location. Popular expat locales like Chang Mai, Thailand and Ho Chi Minh City, Vietnam have well-established expat living areas and numerous online property listings. Find online forums for expats living in your desired location and ask for leads. If you have a local connection, ask them to send you or link you to local publications that list rentals. Local want-ads are likely to list more affordable rentals than online listings. Erin from Travel with Bender rented an apartment in Penang, Malaysia for two months. She searched for an apartment by asking friends and searching airbnb, flipkey, and Google. Ultimately she found the apartment on holidaylettings.co.uk. Her family has also rented apartments for 3 weeks to a month in the Philippines, Indonesia and Thailand. Nora Dunn of The Professional Hobo rented an apartment in Chang Mai, Thailand for two months, and found it within a day of arriving. WorldTowning offers all manner of assistance to people who want help setting up temporary residence in another country. The site has a wealth of free resources and several tiers of services to help you arrange your time away – they’ll even set it up for you if you prefer! Maybe you can rent this place…. If your house is going to be sitting empty while you’re away, why not exchange it for a place to stay while you’re abroad? There are several online sites dedicated to arranging home swaps; homeexchange.com is the biggest and best-established. Others include homelink.caand lovehomeswap.com. Signing up with multiple sites will increase your chances of finding a good match, but each involves a fee. If you want to list with only one site, homeexchange.com is the way to go, as it has the largest pool of participants. Before you post your listing for your home, check with your insurance company to find out whether you need to adjust your policy in the event of a home swap. You should also line up a friend or family member who can assist your swap family with any emergencies that may arise while you’re away – a broken water pipe, for example. Emma of Wealthy Single Mom figures she’s saved over $10,000 on travel by doing home exchanges! The Ndjerareou family spent a family summer away in a home in the south of France. If that doesn’t sound like hardship, I don’t know what does. If you can nail a house-sitting gig, it can be a lovely way to travel. It has all the benefits of doing a house swap, but you don’t have to have a house to swap! The challenge for newbies is landing a house-sitting arrangement, especially as a family. Many folks looking for house-sitters are leery of the damage they think small children might cause. Given the Sharpie stains on my dining room table, I’d say those fears are well-founded. The most popular house-sitting websites are trustedhousesitters.com, nomador.com and mindmyhouse.com. You register (for a fee), set up your profile, and apply for house-sits that are posted on the site. If you have house-sat in the past and can provide references, you’ll have a better chance of being chosen. We chose to register with trustedhousesitters.com and we love it! Easy to use and because it’s the largest house-sitting site with the most members (and because my family is lovely and who wouldn’t want us to house-sit, right? ), we were able to secure our first house-sit very quickly! It was a great experience and we look forward to house-sitting as much as we can during our family gap year. Liz of It’s a Drama is a traveling mom who knows how to save money. She figures she’s saved at least $10,000 on accommodation by house-sitting with her family! Many families taking a break from work to travel do so by living in a vehicle. While campervans, RVs/motorhomes, and trailers come immediately to mind, families also live in truck campers, boats, and 4×4 overlanding vehicles equipped with a rooftop tent. 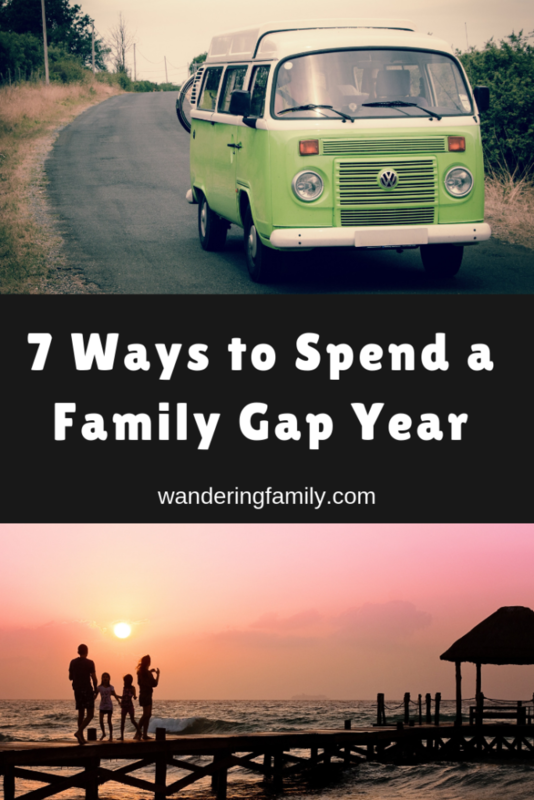 We’ve chosen to spend our family gap year traveling in an RV primarily because Wandering Family Girl barely sleeps through the night as it is, let alone when we’re moving from place to place every few days. If we all want to get through this year alive, we have to have our own beds to sleep in each night. But I’m not a slow travel type (I’m more of a too-fast-for-most-people travel type), so we need to be able to move. At first we considered buying a truck camper and driving down the PanAmerican highway to South America, but on one of those wine-fueled evenings when you tell your partner your deepest secrets, Wandering Family Man and I admitted to one another that we preferred to head to Europe. Europe + we want to move around + need to take beds = some kind of recreational vehicle, so we bought a Class C motorhome. We christened it “Harvey” and bought him a ticket to Belgium (sailing date June 2019, yay!). Marlene and her family, who write the Mali Mish blog, spent 18 months traveling in a truck camper. Right now they live in a DIY Sprinter conversion. Jenny of TraveLynn Family spent 3.5 months in a Landrover in Africa with a 2 and 4 year old, and in my view, deserves an award on that basis alone. Dawn and her family (5 Lost Together) spent 6 months cruising the Bahamas, even though her husband had no sailing experience! So brave! 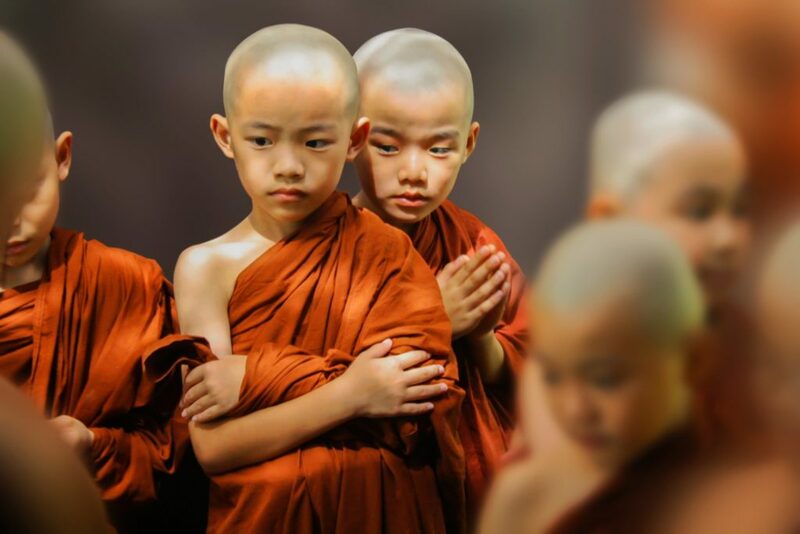 So this type of family sabbatical is not widely adopted, but I love this article about a family who spent three months in a Buddhist monastery in the Himalayas, meditating while their young kids played Lego nearby. Along with slow travel, traveling by car or public transit and staying in traditional tourist accommodation (hotels, hostels, guesthouses and the like) is one of the most common ways families spend a mini-retirement. 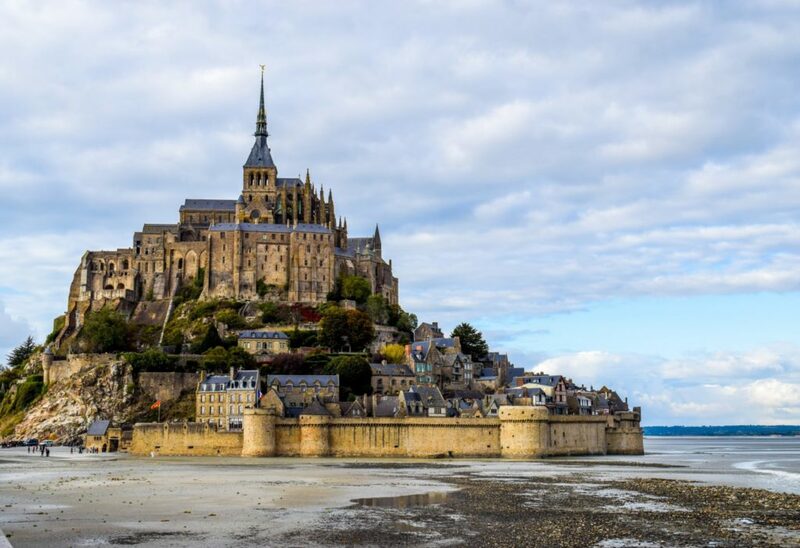 Even in Europe this kind of travel can be quite affordable – a number of years ago my mom and I traveled around Europe together for 90 days, and all-in we each spent USD$5000. If you have small children, you’ll likely want to do a test-run of this form of travel before embarking on a longer trip. Many small children do not handle this kind of travel well, and become exhausted and cranky on travel days and the few days following. If we tried to travel this way with Wandering Family Girl it would be an ongoing horror show of epic tantrums. Nicky of Go Live Young, her husband and three children (all bordering on pre-teen age) took a 9 month family sabbatical. They spent one month of it in a rented campervan and spent the rest backpacking through 15 countries. Liz of It’s a Drama couchsurfed with kids around the world for a year with two teenagers. And lived to tell about it! Would you like to get to know a family in another country and culture? Would you be willing to exchange some daily work for free room and board? A ‘workaway’ is an arrangement between a family and a local business whereby the business provides food and lodging in exchange for the family doing some agreed-upon amount of work per day. Duties can range from hotel work and babysitting to language teaching and cleaning. Most workaways are organized by using either the wwoofinternational.org or workaway.info websites. WWOOF focuses on workaways on organic farms, while workaway.info features a wide variety of opportunities. Workawayers usually enjoy close social contact with their host families and other locals during their workaway. It’s not only a way to save money on accommodation, it’s a chance to have a first-hand immersive experience that someone just can’t get from traveling through and seeing the local sights. Here’s an account by a family who did a workaway at a beach lodge in Costa Rica. Mom worked reception while Dad did maintenance and looked after their kids, age seven and four. Fred and his wife of Purely Pacha took their two and five-year-old children on a one-year working tour of organic farms in Europe, which sounds amazing. Wandering Family Man and I considered doing this, until we bought a house with a garden and realized that we don’t like gardening, let alone farming. Bullet dodged. Do you have kids (usually 10 year of age or older) with whom you’d like to experience volunteering overseas for a worthy cause? Consider making volunteering a part of your family sabbatical. There are several Volunteer Service Organizations (“VSOs”) who offer volunteer opportunities to families. The volunteering family pays a fee that covers their accommodation and food, as well as their own transportation costs. Reputable VSOs with family volunteer opportunities include Global Volunteers, Lead Adventures and Volunteering for Peace, among others. A great resource describing how to vet a VSO and find and arrange suitable volunteer opportunities is The Volunteer Traveler’s Handbook by Shannon O’Donnell. Sara took her husband and teenage daughter to Ecuador to build a washroom for a local school. Impromptu volunteer opportunities often crop up when you’re traveling. I spent a few days teaching English at a local school in Sumatra after meeting the principal on a local bus. Ana, age 11, spent a day volunteering in a bookstore in Laos. Last but not least, you can take a break from work and stay home. Not every family who takes time off spends it galavanting all over the planet! The respite, time spent together, and space to reflect on where life is going that often drive the desire for a family sabbatical can be found anywhere. Want to try homeschooling, have time to perfect a new hands-on skill, volunteer with local organizations or your religious community, write that novel, or expand your garden? Much easier to do at home than in a hostel in Tanzania. Taking a rest can be a career break well spent! Escape 101: The Four Secrets to Taking a Sabbatical or Career Break Without Losing Your Money or Your Mind – A well-written and motivating book, Dan addresses the mental and emotional barriers we face in ourselves when thinking of making a big change in our lives. Pause: Harnessing the Life-Changing Power of Giving Yourself a Break – I love this book because it really invites the reader to personally reflect on their need for a break and gives plenty of tips and options about pausing to reflect, not just a long career break. Very well written, high quality read. A Family Gap Year: Europe: How to quit the rat race and see the world with your children – My favourite book-format travelogue about traveling for a year with kids. Easy, pleasant read and goes deeper into the experience and emotional impact than most online resources do. There are as many ways to spend a break from work as their are people and families. What’s important is the opening of the valve of the pressure cooker that is working and raising children. A break can relieve burnout, renew your interest in all aspects of your life, and give you the time – and the patience – to enjoy your children just a bit more than usual. Let yourself think about what you might do if a family sabbatical were a possibility. Travel? Stay home? Move somewhere else for awhile? If it’s right for you, you’ll know, and you’ll start looking for ways to make it happen. Next PostNext Only One More Month Until We Leave! Great list! We’re a full-time traveling family and do many of these. Absolutely love the idea of a family sabbatical. These are some awesome budget friendly ideas to make that achieveable. Thanks for the inspiration. I’m applying for a sabbatical the year after next. While I’m excited, I’ve been freaking out because I haven’t thought of the logistics or *really* made a plan yet. Thank you so much for making me feel a lot better about that by giving me some information to consider and ideas on where to live for my sabbatical and considering ways to get around a new area! That’s so exciting! And you have plenty of time to plan and research to find the perfect approach for you.